Petrotrin Chairman Wilfred Espinet clarifies the number of workers to be sent home when the Petrotrin refinery is closed. Photo: Darlisa Ghouralal. 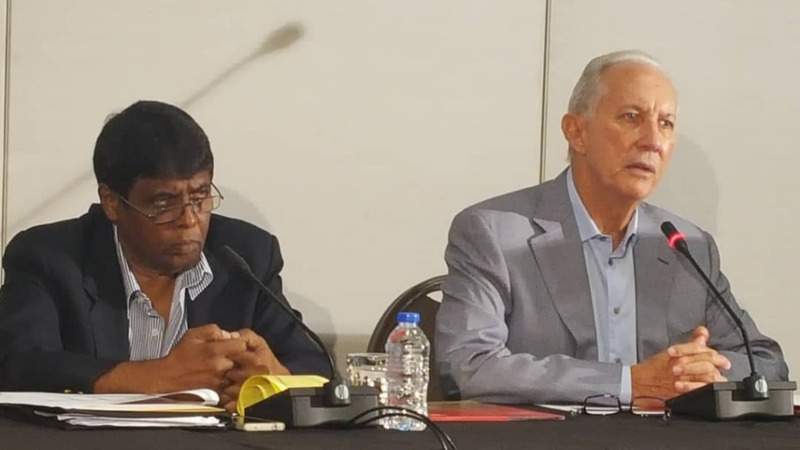 Petrotrin Chairman Wilfred Espinet has taken full responsibility for the confusion in the public domain over the actual number of workers to be sent home in the closure of the Pointe-a-Pierre refinery. 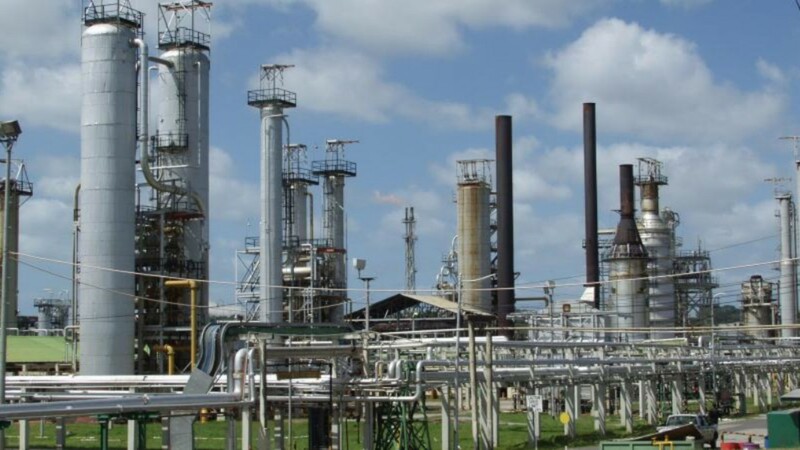 In a statement issued by Petrotrin on August 28, the company indicated that 2600 jobs would be affected by the decision to close the refinery, with 1700 refinery workers to be sent home. During a news conference on Sunday, the Opposition claimed some 5000 workers were to be sent home. Responding to questions in the Senate on Tuesday regarding the true number of workers to be retrenched, Energy Minister Franklin Khan said 4700 workers were to be sent home. But, speaking at a media conference at the Hyatt Regency Hotel on Tuesday, Espinet apologised for the conflicting reports as he indicated that all workers in both refining and exploration were to be sent home. Asked to clarify the figure provided by Khan in the Senate, he said the information would have been provided to him by Petrotrin and represents 3400 permanent and 1300 temporary workers who are to be retrenched. Espinet indicated that the number of temporary workers fluctuates so the number could decrease as the refinery closure draws nearer. 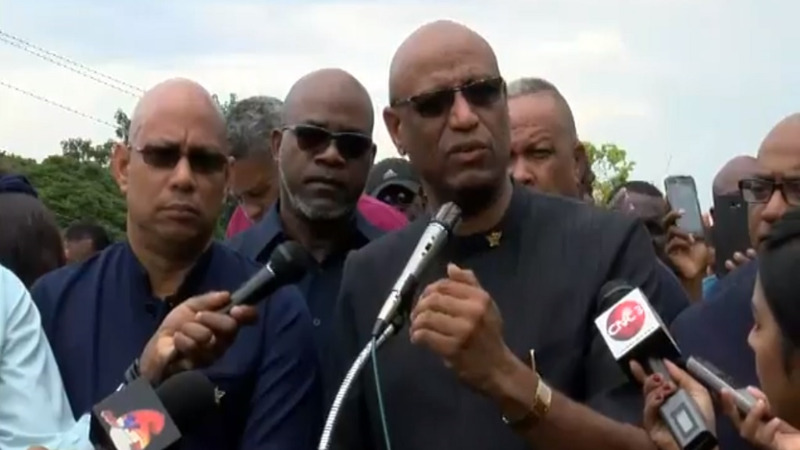 The Petrotrin Chairman, however, denied that there was any attempt on the Company’s part to mislead the population on the number of workers to be sent home. He further dismissed assertions that Petrotrin was being less than transparent in the information released to the public stating that the company had to exercise caution as it relates to the information it allows to enter the public domain. Espinet acknowledged that the decision was a tough one adding that he understands the workers’ anxiety. While severance packages are yet to be worked out, the Petrotrin Chairman said all workers will be sent home on the same date after which a pool of talent will be selected for the new company. He assured that the company priority is to facilitate a smooth, safe and efficient transition and to preserve the value of the assets. Petrotrin is providing psychosocial support and counseling to its employees and their dependents through its EAP provider Petrotrin EAP Services Limited (PEAPSL). All permanent, temporary, casual and contract workers and their dependents are in receipt of this counselling. Sessions focus on dealing with change and managing the stress related to the change. Financial management counseling is also being provided to prepare employees to manage the lump sums they will receive as part of their termination packages. Editor's Note: This story has been updated to clarify that the number of Petrotrin workers to be sent home remains the figure provided by the Energy Minister - 4700 workers.